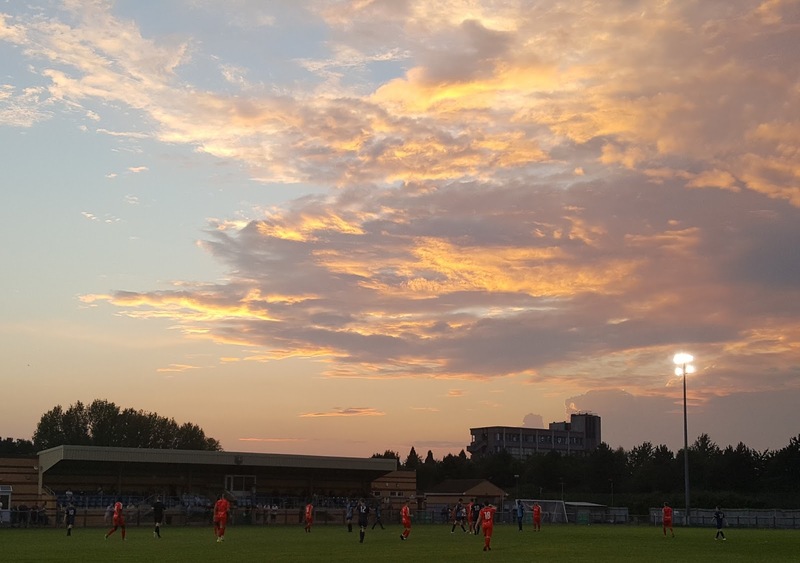 It was a delightful summer's evening on Thursday as TheColdEnd ventured just across the border from Hertfordshire into Bedfordshire for a pre-season friendly between Arlesey Town and Hemel Hempstead Town. The game pitted Step 4 v Step 2 on the non-league ladder as The Tudors play in the Vanarama South division and The Blues play in the Evo-Stik Southern League Division One Central. Hemel were the better side in the first half having one shot over the bar and some half chances on goal before they made it 0-1 with a really impressive free kick from just outside the box. As with all pre-season friendly games there were lots of substitutions with a number of trialists for both sides - the game was played in a 45 min first half and then two periods of 30 mins I think although it was rather confusing. When both sides had made wholesale changes it was Arlesey who made it 1-1 before Hemel scored twice in the first 30 minutes of play and then a further four times in the second to make the final score 1-7.